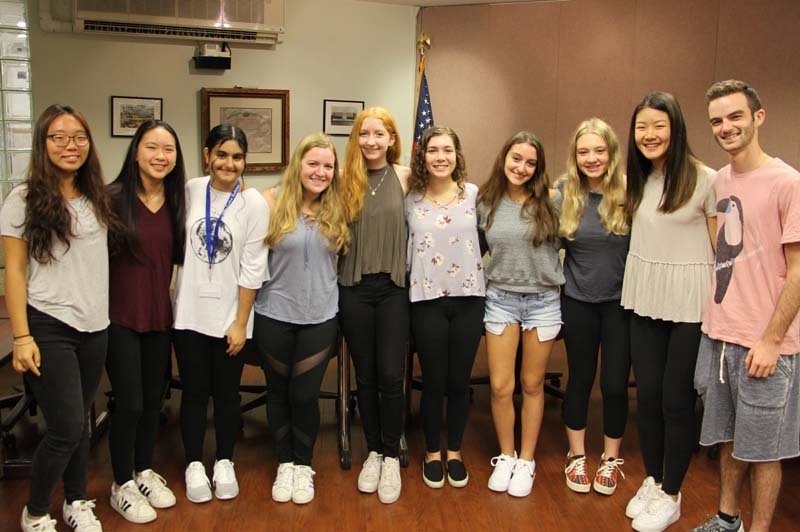 Eleven Roslyn High School students from the Class of 2019 have qualified as semifinalists in this year’s National Merit Scholarship program. They are, from left: Priscilla Lee, Adrian Ke, Sarah Pethani, Johanna Kann, Emily Leventhal, Melanie Landesberg, Dana Guggenheim, Gemma Schneider, Jasmine Ting and Josh Bloom. Not pictured: Ethan Sims. These seniors have an opportunity to continue in the competition for some 7,400 Merit Scholarship awards that will be awarded next spring.